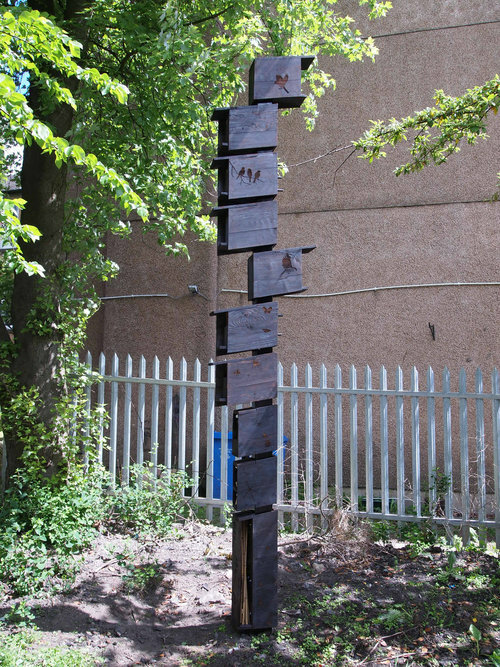 Collective Architecture recently completed the installation of a bird and bug ‘totem pole’ in Pollokshields, Glasgow. The works we carried out by the Leslie street Greenspace Group on behalf of the residents of Pollokshields. The totem pole was designed with local primary school children and is made from charred timber with laser cut surface patterns depicting the different species that will inhabit the boxes.